How Might God Be Best Served? Who wrote the Hebrew Bible? For whom was it written? Why? When? How? Were some of the accounts in the books of 1Samuel – 2Kings authored by scribes in the kings’ courts to make their bosses look good, were they distilled by deuteronomic historians out to teach the rest of us what it means to be a covenant nation. Or are they, as most would have it, the inerrant word of God. These are some of the questions John Drane sets out to address with considerable effort in Introducing the Old Testament. But that’s not all. Drane takes us on a journey with a people called by God to be different and who spent much of their history in search of what it means to be different. The journey begins with the call of a childless couple and moves through slavery in Egypt, the Exodus and the Sinaitic covenant. By the time we got to the time of the Maccabees, all of the challenges of balancing covenant obligations with the demands of remaining a viable geo-political expression had Israel battling the twin evils of idolatry and Hellenism. He is not just a mighty, or eternal, or exalted God, he is also a socially conscious God – a God who cares about how one person treats another. It was a cyclical battle that Israel lost, then won, and then lost and won; and it was that battle that had the supporting casts of history including kings, priests, prophets and their recorders at daggers drawn. The book is split in two. It has the main subject and a series of articles on some characters in the Old Testament stories, academic debates on the archaeology, authorship and development of scripture from its oral traditions to canonisation. Drane pulls together a great volume of archaeological and historical materials to contextualise the journey of Israel within prevalent socio-cultural trends of the periods and the influence those trends had on ancient Israel. Israel did not exist in isolation, even if such figures as Ezra and Nehemiah felt their exclusivist ideology was the preferred route to holiness. Much of ancient Israelite ideas about God were identical to what obtained in ancient civilizations of that region. The Noah flood story is identical to the Babylonian epic of Gilgamesh. That story had all the Noahide elements: a great flood, animals to be saved two by two, a boat, a post-flood sacrifice and post-flood promise of no more flooding. But the Babylonian version was written well before Noah’s. As far as Hosea was concerned, implicit within the essence of the covenant faith was the understanding that the end does not justify the means. Moses’ laws are identical to the law code of King Hammurabi (1700BC) of Babylon. Even before El became El – Elohe Israel (El the God of Israel) it was the name of Canaanite gods as recorded in ancient Ugaritic texts. These similarities tended to promote a fusion of religious cultures and practice and thus threaten the unique character of a covenant faith based on relationships and social responsibility. Hence God revealed Himself to Moses by a name no one knew previously: Yahweh. The implied statement is that He is not just a mighty, or eternal, or exalted God, as all Canaanite tribes acknowledged Him to be, even if somewhat ignorantly. In addition to all of that, he is also a socially conscious God – a God who cares about how one person treats another. That was what was missing in all previous epics on divinity and the numinous. That’s the significance of Exodus. That is at the heart of the question that Introducing the Old Testament sets out to address: How might God be best known? How might God be best served? “Yahweh was certainly worshipped, but often through rituals and belief systems that reflected not the underlying rational of the covenant traditions, but the inherited spiritual ideology of traditional Canaanite practice,” wrote Drane. While not shying away from addressing difficult questions about a God of love that the book of Joshua claims ordered the massacre of women and children, Drane encourages readers to sift the wheat from the chaff of history. This is by no means to suggest that Drane’s work cast any doubt on the integrity of the Old Testament accounts in anyway. 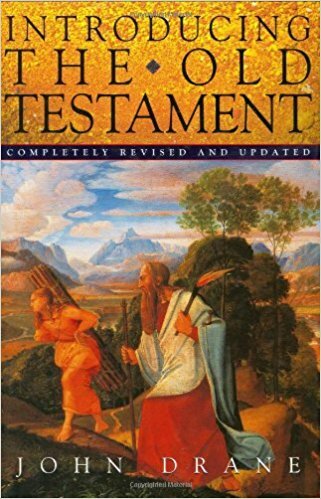 Rather, if ever an academic work treated its subject with due sensitivity and conscience, Introducing the Old Testament is such a book. It is a neat confluence of archaeological, historical and spiritual pool and a bold attempt to remove God from much of the ‘tensions’ that some call contradictions within scripture. Much of the tensions in the Old Testament come about in the various efforts to redeem the unique character of the covenant faith. The conflicts are best demonstrated by the different approaches to the Jehu versus Ahab story. Enter Prophet Hosea 100 years later and he condemns Jehu for carrying out that ‘divine assignment’. If that does not confuse you, nothing ever will. It’s not the first time prophets would throw spanner in the works. It is to the challenge of dealing with these intra-textual ‘tensions’, and such other conflicts that John Drane rises mercurially. It is in the competing positions on how God may best be known and worshipped that His nature and disposition are best revealed. The writer of the Jehu saga might have been a court historian out to justify Jehu’s coup, and at the same time teach that under the watchful eyes of Yahweh, nobody, not even kings get away with murder. But as far as Hosea was concerned, implicit within the essence of the covenant faith was the understanding that the end does not justify the means. The Chronicler removed the accounts of David’s adultery and murder, and Solomon’s various gifts to the gods of his foreign wives and concubines. Instead they focused on the emergence of Israel from nomadic tribes to statehood as a reflection of the blessing of honouring covenantal obligations. They were also keen to celebrate the Temple as the very symbol of a priestly nation. On the other hand, the writers of the book of 2Samuel included the embarrassing stories to teach that not even David, the man after God’s own heart, could get away with murder and adultery. Yahweh, the central character of Introducing the Old Testament, was never far from these conflicts, for it is in the competing positions on how God might be best known and worshipped that His nature and disposition are best revealed.